U.S. News released their list of top diet plans that include the best overall diet plans, best weight loss diets, best diabetes diets, best heart-healthy and best commercial diets. Over the course of six months a U.S. News team of 22 experts researched and ranked diet plans to come up with a list of the best diet plans in different categories. The expert panel was comprised of experts in diet and nutrition and specialists in diabetes and heart disease. In addition to researching the diet plans, the experts also reviewed medical journals, government reports and other sources to come up with their conclusions about the best diets. Their findings were released in early June 2011. Let's take a look at the results and see if you and I agree with the experts. The reviewers and research methods behind the review of the diet plans looks to be pretty sound. The 22 member independent expert panel was selected from recognized experts in diet and nutrition. Also included on the panel were specialists in diabetes and heart disease. Explanations how the diet works. Whether claims add up or fall short of expectations. Risks of the diet plan. Ease or difficult of living on the diet plan. Ability to prevent or manage heart disease. The experts were also asked to weigh in on aspects of each diet that they particularly liked or disliked and consider what they thought those considering starting the diet should know. The results from all 22 experts for diet plans were compiled to create the Best Diet Plans in each of the different categories. If I have one concern about the study it is that the review team only reviewed twenty diet plans. Atkins, DASH Diet, Eco-Atkins, Glycemic Index Diet, Jenny Craig, Mayo Clinic Diet, Medifast, Mediterranean Diet, Nutrisystem, Ornish Diet, Paleo Diet, Raw Food Diet, Slim-Fast, South Beach Diet, TLC Diet, Vegan Diet, Vegetarian Diet, Volumetrics, Weight Watchers and the Zone Diet. "We also couldn't cover every diet that has a flock of followers, but we'll add more. We also plan to be able to build in enhanced freedom to zero in more precisely, plugging in your detailed preferences and requirements, to find the diets that fit you best. 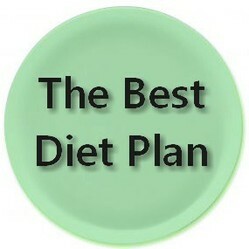 That will be Best Diets 2.0." U.S. News today released its first-ever Best Diets rankings—an evaluation of 20 eating plans that have been expert-rated in seven categories, including short-term weight loss, long-term weight loss, easiness to follow, safety, and nutritional completeness. The overall list of all of the best diets determined by U.S. News. Diets come and go, teasing and tempting with visions of that new, hot, slimmed-down body sculpted in a flash from the old, formerly pudgy and mirror-averse You. Eat what you want! Pounds melt away! The reality, as legions of frustrated dieters can affirm, is that dieting is hard and that most diets don't work. List of all 20 of the diet plans reviewed from Atkins to the Zone. 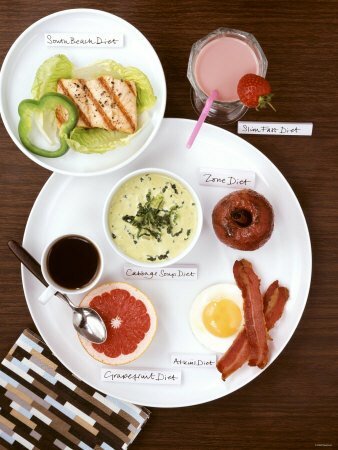 Have you tried any of these diet plans? I've used more than one of the above. I've never used any of them. And the winner is … the DASH diet! That eating plan, often recommended to help adults lower their blood pressure, topped more popular options in a ranking of 20 diets by U.S. News & World Report. The DASH diet, the magazine concluded, was the best overall. U.S. News and World Report this morning issued its first-ever assessment of 20 popular diet programs and dietary “approaches,” naming the DASH diet the best overall and Weight Watchers the best of the commercial diet programs. WITH thousands of diets purporting to be the best plan for shedding the pounds, a US media health group today announced its picks for the best diets after assembling a panel of experts to assess the benefits of each. Mediterranean diet on list of effective weight-loss diets, but what tops list? The Mediterranean diet has long been touted as a healthy one, and a ranking of popular eating plans just released by "U.S. News & World Report" pegs it at #2 in terms of overall health benefits. Interestingly, U.S. News and World Report assembled an independent panel of 22 recognized experts in heart disease, diabetes, diet and exercise to review 20 diets. A new research finding could help parents and public health specialists deal with one of the more troubling conundrums of the new millennium: how to keep teens from getting fat. An eating plan originally touted to reduce high blood pressure in adults has been found to keep adolescent girls trimmer between the ages of 9 and 19. The DASH Diet (Dietary Approaches to Stop Hypertension) took the top spot. The experts chose a total of six diet plans. Note: There were several ties. Best Diets Overall - Diets ranked by across-the-board effectiveness. U.S. News evaluated and ranked the 20 diets below with input from a panel of health experts. To be top-rated, a diet had to be relatively easy to follow, nutritious, safe, and effective for weight loss and against diabetes and heart disease. With the help of 22 experts the U.S. News Team determined that the top overall diet plans are DASH, Mediterranean, TLC, Weight Watchers, Mayo Clinic and Volumetric Diets. Weight Watchers took top honors in the Best Weight Loss Diet Plan category. The experts chose a total of six diet plans. Best Weight-Loss Diets - Diets ranked by effectiveness for both quick and lasting weight loss. A panel of experts examined the research supporting—or refuting—a diet's potential to bring both short- and long-term weight loss, assigning scores on a scale of 1 (ineffective) to 5 (extremely effective) in these two categories. The DASH Diet again took the top spot for the Best Diabetes Diet Plan. The experts chose a total of seven diet plans. Best Diabetes Diets - Diets that can prevent diabetes or help diabetics. Diet is a crucial tool for diabetics to manage their diabetes. Dieting can also help people who are overweight prevent type 2 diabetes. The experts who rated the diets below considered how good each diet is for both prevention and treatment of diabetes. The Ornish Diet is the top diet for the most heart-healthy diet. There were no ties in the heart-healthy category. Best Heart-Healthy Diet - Diets that lower cholesterol, blood pressure, or triglycerides. A heart-healthy diet is one that can help you lose weight or lower cholesterol, blood pressure, or triglycerides. Weight Watchers was chosen as the best commercial diet plan. There were no ties in the commercial diets category. Best Commercial Diet Plans - Brand-name diets ranked by overall effectiveness. Some such commercial diet plans are better than others, according to experts who rated the diets below for U.S. News. The experts considered each diet's ability to deliver weight loss, provide good nutrition and safety, and be relatively easy to follow. Use these codes to save an extra 15% on DNA kits on sale MashableIt's National DNA Day, which means DNA tests are on major sale. Comment on the Top Diet Plans - Which do you think work?